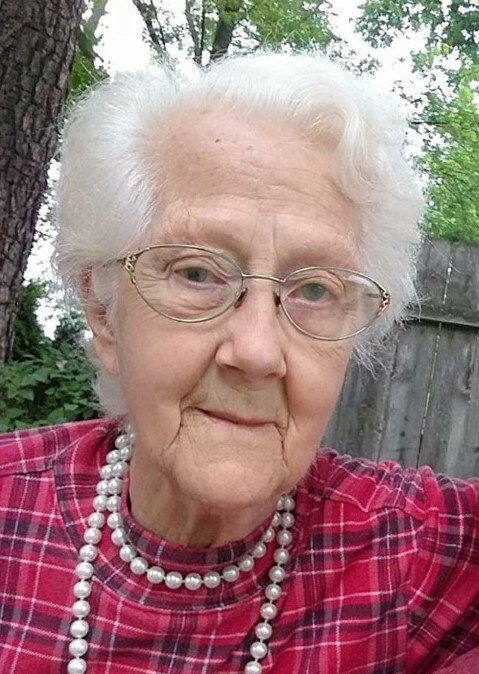 Evelyn M. "Sally" Lucas, 83, of La Porte, passed away on Monday, January 21, 2019 at Fountainview Terrace. Evelyn was born in Valparaiso, IN, on June 3, 1935 to Raymond and Eva Berrier. Evelyn was married to Earl Lucas who preceded her in death. Surviving are her children, Beth Matthews of Plymouth, William Dean Hon of La Porte, Steve Hon of La Porte, Jackie (Dennis) Jeffers of La Porte, and Mike (Linda) McLeese of La Porte; and many grandchildren and great-grandchildren. She was preceded in death by her parents; husband, Marciene "Sam" McLeese; second husband, Earl Lucas; and 2 children, Kevin McLeese and Emm McLeese. Evelyn loved dancing, swimming, ice skating, fishing, spending time with family, and watching the cubs. A Celebration of Life Service will be held at 11 AM (CT) on Friday, January 25, 2019 at Cutler Funeral Home and Cremation Center with Pastor Joseph Caples officiating. A time of visitation will be held from 5 - 7 pm (CT) on Thursday, January 24, 2019 at Cutler Funeral Home and Cremation Center and from 10 -11 am (CT) on Friday at the funeral home. Interment will take place at Patton Cemetery at a later time. Memorial contributions may be directed to the family c/o Jackie Jeffers, 2900 Monroe St., La Porte, IN 46350.